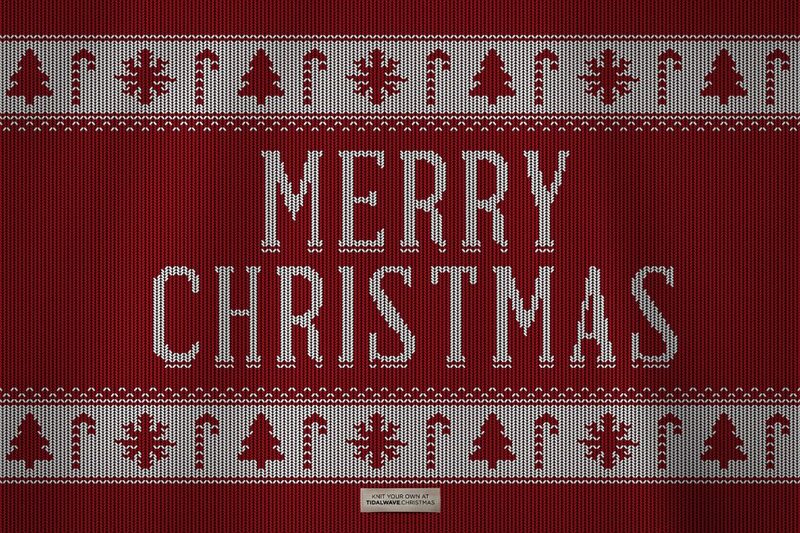 What do you do when you can find the words to say, but you need a creative way to share them?Â You knit your carefully crafted message into a beautifully cropped image of a Christmas sweater. Thatâ€™s right. Tidal Wave is making Christmas sweaters. Just for you. Just a few of the most important threads from TidalWave.Christmas. Knit your own glorious message of love or humor and post it to your friendâ€™s feeds orÂ shareÂ it via your own.